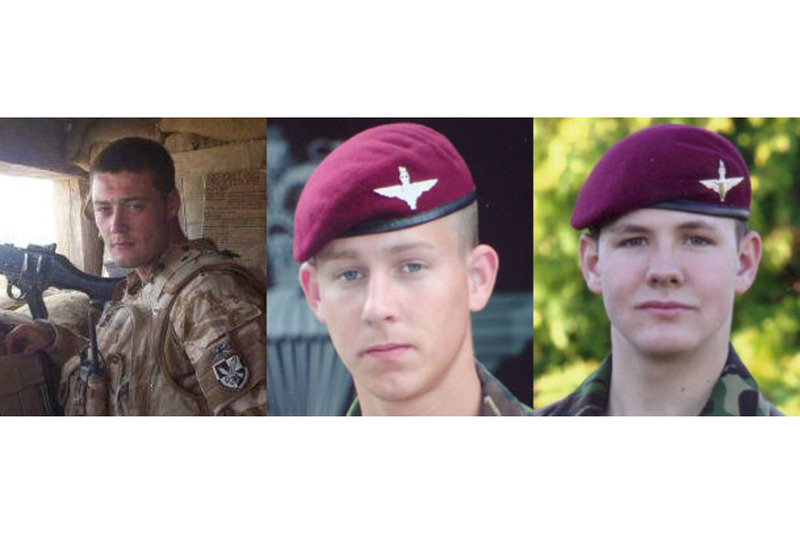 It is with deep regret that the Ministry of Defence must confirm the deaths of Private Nathan Cuthbertson, Private Daniel Gamble and Private Charles Murray of 2nd Battalion The Parachute Regiment (2 PARA) on Sunday 8 June 2008 in Helmand Province, Afghanistan. At approximately 1100 hours local time, the soldiers were on a routine foot patrol 1km west of their Forward Operating Base in the Upper Sangin Valley when their patrol suffered a suicide explosive device. Today Private Nathan Cuthbertson, Private Daniel Gamble and Private Charles Murray were wounded by a suicide bomber near Forward Operating Base Inkerman, and despite the best efforts of the medics on the ground and at the hospital in Camp Bastion they could not be saved. They died doing their duty and doing their best, taking care with a potential threat, but also understanding the importance of connecting to the people around them. All three had been in Afghanistan for two months and had already experienced physically draining patrols in the high heat of the Afghan summer, combat with the Taliban, and the danger which is inescapable in our part of Helmand. They tested themselves to join The Parachute Regiment and they welcomed the challenge of operations. They knew the risks, and in facing them today as they had done every day before, they demonstrated the clear, cold courage which is the hallmark of their comrades and their Regiment. We will all take some time to think about them, and we salute them as brave young men, but our thoughts are also with their families who bear the greatest burden of their loss. We will turn to our job again and continue the relentless pressure on the Taliban in this valley, which in time will create space for a better life for the people here. When our job in Helmand is completed we will return home and honour them as members of 2 PARA who have given their all for their friends, their Regiment and the difficult task they faced. We will remember what they have done and the life that they have given, and what we achieve here will be their memorial. Private Nathan Cuthbertson was serving as a Machine Gunner and Infantry Assault Engineer with 4 Platoon, B Company, 2 PARA when he was killed in action by a suicide device in Helmand Province, southern Afghanistan. Private Cuthbertson, aged 19, was born in Sunderland on 5 January 1989. He began his military career aged just 16. Having left school he chose not to wait until he was old enough for adult service and attended the Army Foundation College in Harrogate in October 2005. Whilst at the Army Foundation College he stood out as a soldier and chose to join The Parachute Regiment. Upon completing his initial training he moved on to the Infantry Training Centre in Catterick where he completed his basic training and passed the physically demanding Pre-Parachute Selection, P Company. Once he had earned his military parachute wings he joined 2nd Battalion The Parachute Regiment in December 2006. With typical energy and drive he quickly embraced the spirit of the Regiment and in under a year had undertaken and passed the technically challenging Infantry Assault Engineers course, usually reserved for more experienced soldiers. During pre-deployment training and deployment to Afghanistan he again excelled operating the platoon’s specialist weapon, the general purpose machine gun. He handled the responsibility with characteristic aplomb and was hugely proud to be the section gunner. Rarely seen without a smile, he could be depended upon to cheer up the platoon, even in the most adverse conditions from the Northumberland rain of pre-deployment training to the heat of the Afghan summer. Private Cuthbertson was an incredibly popular member of the Company. A talented, motivated individual he always had a smile on his face and relished the challenges faced by the professional soldier. His humour and morale were infectious and he was widely liked and respected. His loss will be sorely felt by his friends and colleagues. Our thoughts and prayers are with his family. Private Cuthbertson loved his platoon and worked tirelessly on its behalf, nowhere more so than in Afghanistan. When volunteers were required, his was always the first hand to go up. He was a brilliant soldier and a great man. He will be greatly missed. 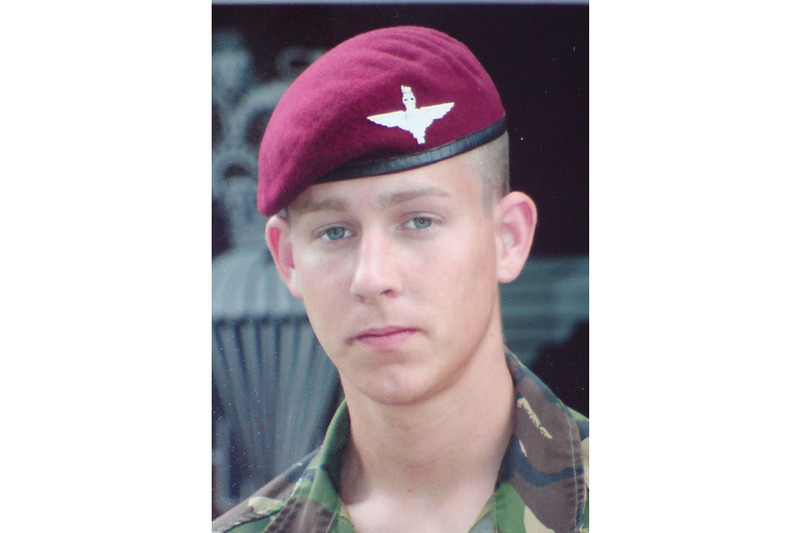 I was also Private Cuthbertson’s Section Commander during his basic training, from my time there and also in 2 PARA one of the things what really stood out was that you could always rely on him to get the job done. He never moaned about anything, he just cracked on. He was always happy and never took life too seriously. He was a great member of the platoon. I don’t think I ever heard ‘Cuthy’ complain once. He was like a work horse, carrying out any task he was given straightaway and without fault. Always ready for ‘a brew’ and a cigarette, Cuthy was a great bloke and will be sorely missed in the platoon. ’'’Nathe’ was a tremendous character within the section, he always worked hard for everyone and was an essential part of the platoon. He never complained and always did everything to the best of his ability. Put simply, he was a mega bloke. Private Cuthbertson, ‘Cuthy’, was an extremely good soldier and one of my closest ‘muckers’ being a room mate of mine in the battalion and a fellow Assault Engineer. Cuthy was exceptionally fit and a typical paratrooper, a good gunner and a good friend. He will be sadly missed, my thoughts go to his family and friends. ‘Cuthy’ and I started AFC Harrogate at the age of 16 together. We both got put into the same company, ‘Cambrai Company’. After our time there we passed out and moved into the same platoon at Catterick. Here we got to know each other very well, living amongst each other, training together and having a laugh at night when we had downtime. He was always up for a laugh. I am truly sorry and gutted about what has happened to him out here, I have lost my best friend. He was an excellent soldier and man. I will never forget him and the good times we had together. 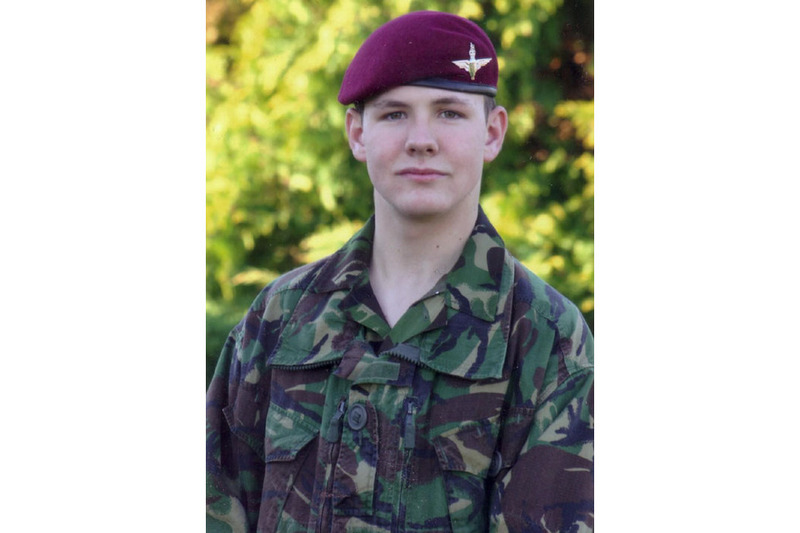 Nathan realised his childhood dream by following his Dad’s footsteps and joining The Parachute Regiment as a machine gunner. He died a hero, doing a job he loved among his friends. Nathan had a real passion for life; he always had a smile and was quick to make friends. Football, socialising and girls were his hobbies and he was never far away from any of them. A dearly loved and devoted son, brother, grandson and friend to all who had the privilege of meeting him, his death will leave a massive hole in all our lives. We will not forget him. 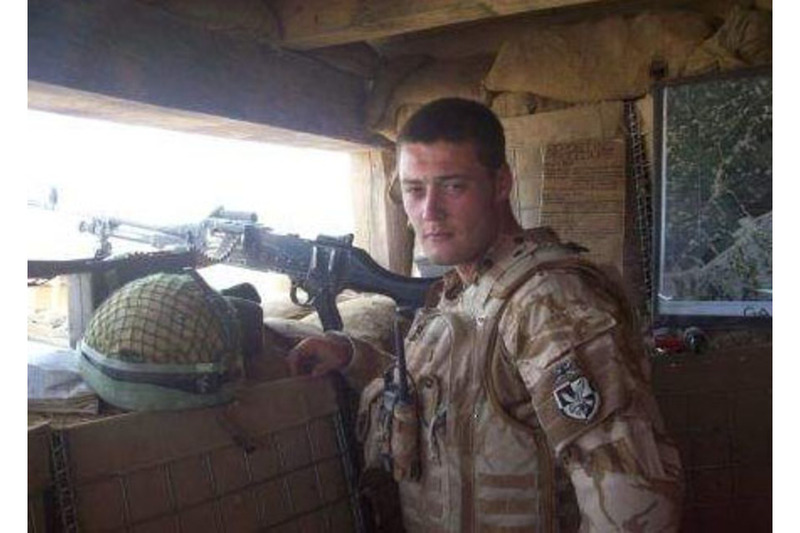 Private Daniel Gamble was serving as a rifleman and Pashto linguist with 4 Platoon, B Company, 2 PARA when he was killed in action by a suicide device in Helmand Province, southern Afghanistan. Private Gamble deployed to Afghanistan in March 2008. Employed as the platoon linguist, he had gone forward with typical enthusiasm and professionalism to speak with a local Afghani when his platoon was attacked. It was during this time that he passed the demanding Pre-Parachute Selection Course, known as ‘P Company’, and became eligible to serve with The Parachute Regiment. He joined 2nd Battalion The Parachute Regiment in October 2006 having earned his parachute ‘wings’ at RAF Brize Norton. Upon arriving at 2 PARA, he joined 4 Platoon B Company and instantly made an impression. Bright and determined, he showed true grit during the battalion’s High Readiness exercises and marked himself as a man with the potential to go further. Private Gamble was an incredibly talented individual and had completed a very demanding Pashto language course before the deployment. As a linguist he was instrumental to the Company’s ability to communicate with the locals. It was in this role that he had gone forward to communicate with a local national and was tragically killed by a suicide bomber. As an important part of my Platoon Headquarters, Private Gamble and I spent a lot of time together on and off patrol. He was a highly professional soldier and I felt secure in the knowledge that on patrol he was covering my back. Having grown up in the same part of the country we often spoke of home. He was very proud of his family and loved them dearly. Danny was a good friend and I’m going to miss him and his see-through shorts. Dan was a dedicated individual who, when told he was to attend the Pashto course, did it with his usual dedication. Not only did he understand the language, he also tried to understand the culture and empathised with the people of Afghanistan. This is the only way to ever try and explain the character of the man, his dedication, professionalism and determination to make a difference to this country. Dan, I’ll never forget meeting you on day one of basic training and having a laugh about being the only southerners and how cold it was or going down to Brize on our ‘Jumps’ Course and your gift of the gab with the ladies helped me meet my girlfriend. You’re a great friend and an even better soldier. I don’t speak alone when I say what a pleasure it has been working with you and how much I’ll miss you. Private Gamble, Dan, was a very good friend of mine. Coming to the Battalion shortly after I did we spent a lot of time together in the same platoon at first, and a considerable amount of our spare time in Colchester. Dan was an exceptional paratrooper and very intelligent. Mostly I will miss our banter and conversation. My thoughts and condolences go to his family and friends. Dan died doing the job he was so proud to do, with the regiment he was so proud to be a part of. He was special because he had trained in the Afghan Pashto language. He was special to his family and friends - a true hero in every sense. Private Charles David Murray, ‘Dave’ to his friends and colleagues, was serving as a rifleman and Assault Engineer with 4 Platoon, B Company, 2 PARA when he was killed in action by a suicide device in Helmand Province, southern Afghanistan. Private Murray, 19, was born in Dumfries on 7 January 1989, but grew up in Carlisle. He began his military career early. Having left school at the age of 16 he attended the Army Foundation College in Harrogate in September 2005, where his passion and skill for rugby league saw him represent the college during a tour to Australia. His slight stature belied a standard of fitness and robustness that set the standard in his platoon. His love of soldiering, and admiration for his Section Commander, led him to choose a career in The Parachute Regiment. Having successfully completed his initial training he attended the Infantry Training Centre in Catterick, North Yorkshire. It was here that he completed his training, passing the physically demanding Pre- Parachute Selection Course, P Company, as the champion recruit. He became eligible to serve with The Parachute Regiment and subsequently earned his military parachute wings at RAF Brize Norton. He joined the 2nd Battalion The Parachute Regiment in December 2006 as his platoon was preparing to be held on standby for High Readiness tasks within 16 Air Assault Brigade. He quickly fitted in due to his naturally relaxed and outgoing nature. It did not take long for him to demonstrate his soldiering ability and he undertook specialist training as an Infantry Assault Engineer within a year of joining the battalion, a course usually reserved for soldiers of greater experience. Private Murray had come into his own during the first two months of the battalion’s tour of duty in Afghanistan. Always putting his team-mates and colleagues first, his technical competency and professionalism shone brightly in Afghanistan. He worked tirelessly despite soaring temperatures and was totally committed to his job. It is often said and never truer, he was a rising star, and a future leader. Private Murray was the consummate professional and clearly enjoyed being a soldier. He took pride in his work and was a valued member of his section. A relaxed, humorous individual he was an incredibly popular member of the Company. His natural charm shone through. Widely known, liked and respected, Private Murray will be sorely missed by his friends and colleagues. Our thoughts and prayers are with his family and friends. On patrol, Private Murray was a thoroughly focussed and effective soldier who was mature beyond his years. Off patrol Murray was constantly entertaining and the origin of much of the platoon’s morale. I cannot begin to express how much he brought to the platoon; he will be sorely missed. Having been Private Murray’s Section Commander through training I got to know him from the start of his military career, and to be his Platoon Sergeant was good news as he was someone you could rely on to do whatever task he was given. He always had a smile on his face and never let anything get him down. He certainly was going far in The Parachute Regiment. He wanted to train as a sniper and you could see he was destined to be a star. As a soldier he was second-to-none and I looked forward to watching him grow as a soldier and no doubt soon he would have been promoted to Lance Corporal. Always ready for a laugh, Dave kept the morale of the section up even if it meant laughing at himself. I will miss his cheeky grin most of all. Having worked with Dave since joining 2 PARA I don’t think that anything I could say here would do him justice. His attitude to everything, whether it was work or play, was always positive. He always had time for his friends and was popular with everyone. David Murray will always be remembered as one of the most professional and fittest soldiers in 4 Platoon. Dave always enjoyed being a paratrooper and would always make the best of any situation. We’ll miss you Dave and your cheeky smile. Private Murray, Dave, was one of my closest friends, he was a roommate of mine for a long time and we were Assault Engineers together. Dave was renowned for being extremely fit and a keen soldier who would do anything for anyone. I would like to thank him for the good times we had together and the help he gave me whenever I needed it. He will be sadly missed by me and all of his friends and fellow Paratroopers. His jokes and his ever present morale will be missed but his friendship will be missed the most. My thoughts and condolences go to his family and friends. Me and Dave joined the Army at the same time when we were 16 starting off at the Army Foundation College, Harrogate, before moving on to the Infantry Training Centre in Catterick. He was a really fit lad and used to come in the top two without fail. He was an excellent soldier and he won the best recruit award which he definitely deserved. We arrived in 2 PARA and were put into the same platoon and company. We became really good mates here and got to know each other even more. Me, Dave and Cuthy became best friends and we near enough did everything together. Last summer we went to Cyprus on holiday, that was the best holiday I have ever had, I am sure it was Dave’s too, we were planning another holiday when we got back. I am truly sorry and gutted about what has happened to Dave. I have lost my best friend. He was an excellent soldier and man. I will never forget him and all the good times we had together. Private David Murray - A little guy with a big heart. David was the best son, brother, grandson, nephew, cousin and friend that any of us could hope for. Although his time with us was short, he lived every second to the full and taught us the meaning of life. David always dreamed of being a soldier like his uncle, papa and granddad. He made us proud, everyday, in everything he did. He was the little guy with a big heart, although he would never admit it. He had the biggest, cheekiest grin that we had ever seen and he always made us laugh with his cheeky way. David looked after his family in every way he could, his friends were like brothers and sisters to him and his memory will live on through his friends and his family. Although he always wanted us to be happy and would hate to think of us as sad, for a time we will be because we miss him so much. We love you David and are so very proud of you. One day, we will see you again. With love always, your family and friends. It is with both a sense of deep sadness and pride that I have reflected on these most recent British deaths in Afghanistan, and as the Chief of the Defence Staff I would like to say a few words. As you know, 100 brave and professional servicemen have now died in Afghanistan. They laid their lives down for their country and their comrades. Every one of those deaths is a tragedy. Nothing can ever compensate for the loss felt by their loved ones and to them all I extend my deepest sympathies. I only hope that the terrible hardship that they have been asked to bear can be eased by the certainty that in Afghanistan our forces are engaged in a most worthy and noble endeavour. And they are making good progress. Right across the country, the international effort is beginning to effect real change. Ordinary Afghans face immense hardships but bit by bit life is improving. In parts of Afghanistan which were once lawless, there is now governance and rule of law. Across the country, more than seven million children are now in school and increasing numbers of people have access to healthcare. Nowhere is the battle for the future of Afghanistan more pressing than in Helmand, the focus of the British effort, where UK forces have magnificently taken the fight to the Taliban and put them on the back-foot. Make no mistake, the Taliban influence is waning, and through British blood, determination and grit, a window of opportunity has been opened. The international community is starting to grasp this opportunity, and throughout the province the indications are promising, with the green shoots of development emerging from Musa Qala in the north of the Sangin Valley to Garmsir in the south. But much of this progress could quickly unravel without a continuing and energised international commitment. Our Armed Forces are resolute in doing what their country asks of them. These deaths, though hard to bear, remind us all of the extraordinary sacrifices they and their families make on our behalf - and of the price of failure if we falter in Afghanistan. We continue to owe them a great debt of gratitude. I would like to express my deepest sympathy for the family, comrades and friends of the three soldiers killed in Afghanistan this weekend. My thoughts at this time are also with the loved ones of each and every one of the 100 courageous members of the British Armed Forces who have now lost their lives in Afghanistan. They gave their lives securing freedom and stability, not just for the people of Afghanistan but, as the tragic events of 9/11 showed, for all of us. We will never forget them. “Every visitor to our forces in Afghanistan comes back with the same sense of awe and admiration for the courage, professionalism and dedication of the remarkable young men and women serving out there. As a nation we have always been supremely proud of our Armed Forces, and with considerable justification. Quite simply they exemplify the very best qualities of the human spirit. Their effect on southern Afghanistan in the last two years has been remarkable. They have transformed the heartland of the Taliban from an area of lawless oppression and terrorism to a place of democracy and development. We must never forget that this extraordinary achievement, which makes us all safer from the scourge of terrorism, has come at a very significant cost to our brave servicemen and women, their families and friends.